Ajman              1965    Tokyo Olympics, 10np      Mint    $ 0.75. Ajman              1965    Tokyo Olympics, 10np      Canc    $ 0.45. Ajman              1965    Tokyo Olympics, 1.50r     Mint    $ 1.75. Ajman              1965    Tokyo Olympics, 1.50r     Canc    $ 0.75. Ajman              1969    Nino Benvenuti            Canc    $ 1.35. Ajman              1969    Max Schmeling             Canc    $ 1.35. Antiqua            1976    Montreal Olympics         Mint    $ 0.55. Bolivia            1951    Athletic Chmps., La Paz   Mint    $ 0.85. Bolivia            1951    Athletic Chmps., La Paz   Canc    $ 0.45. Bulgaria           1956    Melbourne Olympics        Canc    $ 2.25. Bulgaria           1996    Atlanta Olympics          Canc    $ 0.45. Cambodia           1992    Barcelona Olympics        Canc    $ 0.50. 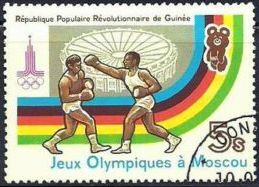 Cape Verde         1980    Moscow Olympics           Canc    $ 0.45. Chad               1969    Mexico City, M.Wolke      Canc    $ 0.75. 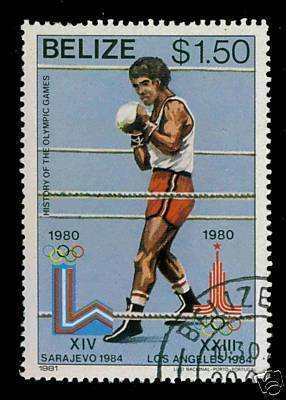 Chad               1976    Montreal Olympics         Canc    $ 0.75. Columbia           1961    4th Bolivar Games         Canc    $ 0.45. Congo              1979    Moscow Pre-Olympics       Canc    $ 0.75. Costa Rica         1960    Rome Olympics             Canc    $ 0.45. Cuba               1960    Rome Olympics             Canc    $ 0.60. 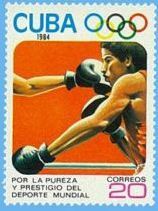 Cuba               1971    6th Pan Am Games          Canc    $ 0.50. 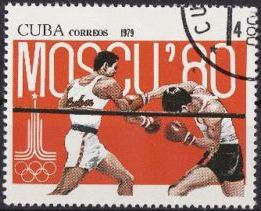 Cuba               1972    Barrientos Chmps. Canc    $ 1.25. Cuba               1978    13th Central Amer. Games  Canc    $ 0.50. Cuba               1982    14th Central Amer. Games  Canc    $ 0.50. Cuba               1992    Barcelona Medals          Canc    $ 0.60. Cuba               1996    Atlanta Gold Medal        Canc    $ 1.00. Czechoslovakia     1957    European Chmps., Prague   Canc    $ 0.55. Czechoslovakia     1963    Tokyo Olympics            Canc    $ 0.75. Dahomey            1963    Friendship Games, 15fr    Canc    $ 0.65. Dominican Republic 1960    Terrence Spinks           Mint    $ 0.95. Dominican Republic 1968    C. Ortiz vs. T. Cruz      Canc    $ 1.25. Dominican Republic 1968    Mexico City Olympics      Canc    $ 1.25. Ecuador            1939    1st Bolivar Games         Canc    $ 1.00. Equitorial Guinea  1972    Joe Frazier               Canc    $ 2.95. Fujeira            1964    Tokyo Olympics            Canc    $ 0.55. Gabon              1980    Moscow, o/p "Welters"     Canc    $ 2.50. 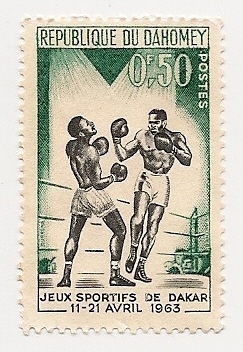 Guinea             1963    Boxing, 50c               Canc    $ 0.75. 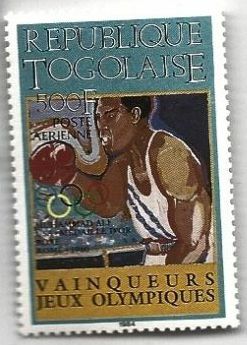 Guinea             1963    Boxing, 4fr               Canc    $ 0.85. Guinea             1969    Mexico City Olympics      Canc    $ 0.50. Guinea             1972    Munich Olympics           Canc    $ 0.55. Guinea             1995    Atlanta Olympics          Canc    $ 0.95. Hungary            1953    People's Stadium Opening  Canc    $ 0.95. Hungary            1960    Rome Olympics             Canc    $ 0.45. Hungary            1972    Munich Olympics           Canc    $ 0.65. 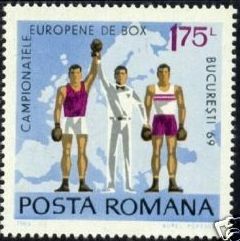 Hungary            1985    26th European Chmps. Canc    $ 0.50. Indonesia          1962    4th Asian Games           Mint    $ 0.75. Korea              1976    Montreal Olympics         Canc    $ 0.45. Korea D.P.R. 1974    Boxing Medal, Bucharest   Canc    $ 1.50. Korea D.P.R. 1976    Montreal, Ku Yong Jo      Canc    $ 1.50. Korea D.P.R. 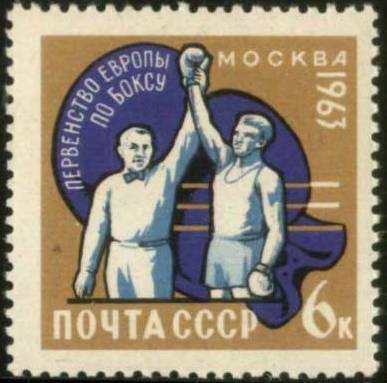 1979    Moscow Olympics           Canc    $ 0.50. Laos               1989    Barcelona Olympics        Canc    $ 0.50. Lebanon            1961    Rome Olympics             Mint    $ 0.95. 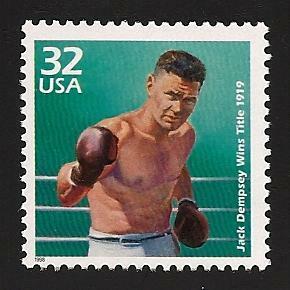 Liberia            1955    Boxing                    Mint    $ 0.75. Liberia            1955    Boxing                    Canc    $ 0.45. 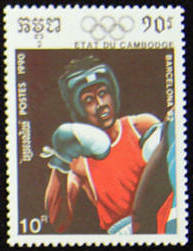 Malagasy Republic  1994    Boxing                    Canc    $ 0.75. Manama             1971    Muhammad Ali              Canc    $ 2.95. Manama             1971    Joe Frazier               Canc    $ 1.95. Mongolia           1969    Laszlo Papp               Canc    $ 1.95. Mongolia           1972    Munich Olympics           Canc    $ 0.60. Mongolia           1976    Montreal Olympics         Canc    $ 0.55. Mongolia           1980    Moscow Olympics           Canc    $ 0.75. Mongolia           1980    Moscow Gold Medal Count   Canc    $ 0.90. Mongolia           1984    Los Angeles Olympics      Canc    $ 0.75. Nagaland           1972    Munich Olympics           Canc    $ 0.55. Nicaragua          1949    Boxing                    Canc    $ 0.55. Nicaragua          1963    Tokyo Olympics            Mint    $ 0.75. Nicaragua          1963    Tokyo Olympics            Canc    $ 0.45. Nicaragua          1964    Tokyo Olympics (o/p)      Mint    $ 1.50. Nicarauga          1982    14th Central Amer. Games  Canc    $ 0.60. Nicarauga          1983    Los Angeles Olympics      Canc    $ 0.50. Niger              1976    Montreal Olympics         Canc    $ 0.55. Panama             1959    3rd Pan Am Games          Mint    $ 0.95. Panama             1959    3rd Pan Am Games          Canc    $ 0.45. Panama             1973    7th Bolivar Games         Canc    $ 0.55. Paraguay           1969    Francisco Rodriquez       Mint    $ 1.50. Philippines        1954    2nd Asian Games           Canc    $ 2.25. Poland             1953    European Chmps., 40g      Canc    $ 0.75. Poland             1953    European Chmps., 95g      Canc    $ 0.75. 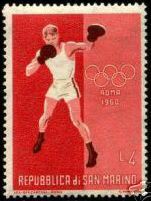 Poland             1956    Melbourne Olympics        Canc    $ 0.45. Poland             1960    Rome Olympics             Canc    $ 0.55. Poland             1964    Tokyo Olympics            Canc    $ 0.45. Poland             1965    Tokyo Olympics            Canc    $ 0.45. Poland             1968    Mexico City Olympics      Canc    $ 0.45. Poland             1972    Munich Olympics           Canc    $ 0.45. Poland             1976    Montreal Olympics         Canc    $ 0.50. Poland             1983    60th Anniv. 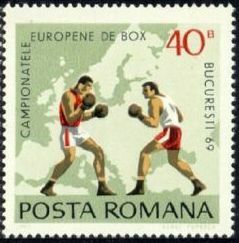 Polish Boxing Canc    $ 0.50. Ras Al Khaima      1972    Munich Olympics           Canc    $ 0.65. 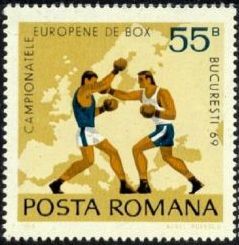 Romania            1959    Boxing                    Canc    $ 0.75. Romania            1960    Rome Olympics             Canc    $ 0.55. Romania            1961    Melbourne Gold Medal      Canc    $ 0.55. Romania            1964    Melbourne Gold Medal      Canc    $ 0.55. Romania            1968    Mexico City Olympics      Canc    $ 0.45. 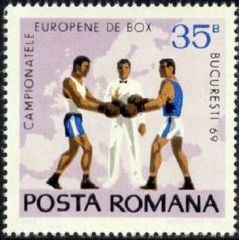 Romania            1969    Boxing                    Canc    $ 0.45. Romania            1976    Montreal Olympics         Canc    $ 0.45. Romania            1996    Atlanta Olympics          Canc    $ 0.45. 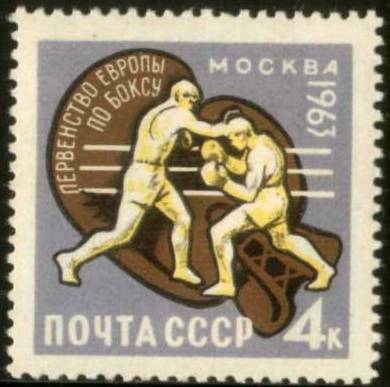 Russia             1956    Spartacist Games          Canc    $ 0.85. Russia             1957    Melbourne Olympics        Canc    $ 0.55. Russia             1960    Rome Olympics             Canc    $ 0.45. 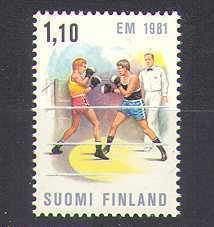 Russia             1989    5th World Boxing Chmps. Canc    $ 0.80. 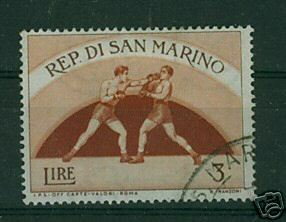 Somalia            1958    Boxing                    Mint    $ 0.65. 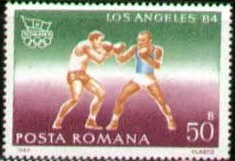 Spanish Guinea     1958    Boxing                    Mint    $ 0.65. Tanzania           1993    Boxing                    Canc    $ 0.75. 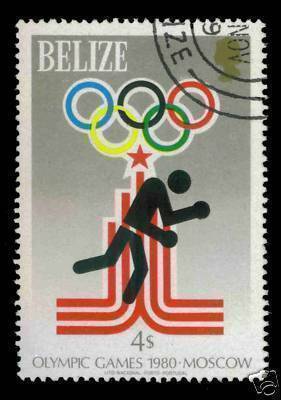 Togo               1969    Omnisport Stadium Open    Canc    $ 0.75. Umm Al Qiwain      1971    D. Kottysch               Canc    $ 1.45. 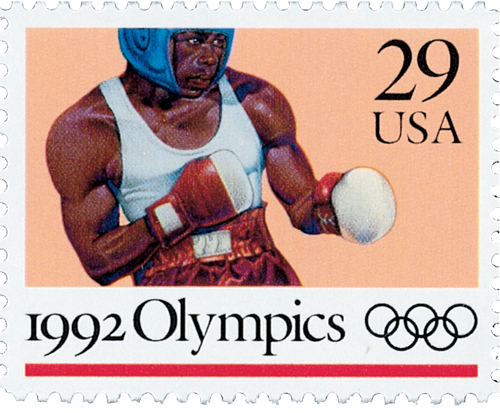 United States      1993    Joe Louis                 Mint    $ 0.85. United States      1998    Boxing Match Painting     Mint    $ 0.95. Uraguay            1965    Tokyo Olympics            Mint    $ 0.75. Uraguay            1965    Tokyo Olympics            Canc    $ 0.45. 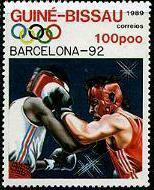 Vietnam            1991    Barcelona Olympics        CAnc    $ 0.80. Yemen              1984    '32 Los Angeles Olympics  Canc    $ 0.95. 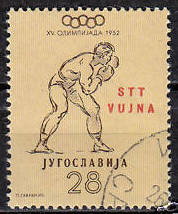 Yugoslavia         1972    Munich Olympics           Canc    $ 0.45. Zaire              1975    M. Ali/G. Foreman, 0,04z  Canc    $ 1.50. Please add $0.95 shipping per order. Email address below to reserve.